Information about Taxes & Duties during Checkout and Order Creation. 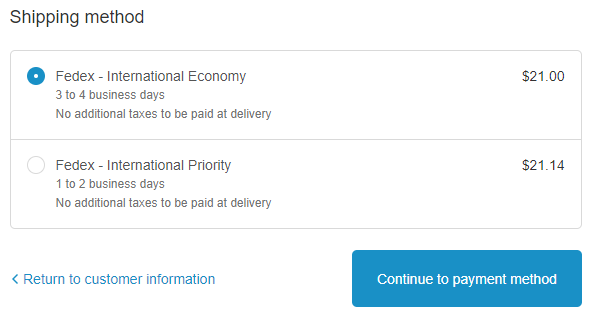 Being transparent with your shipping costs is a great way to build trust with your customers from around the world. One way to do this is to display the taxes & duties of your shipment at your store checkout, ensuring that your customer is fully aware of all fees associated with their shipment. 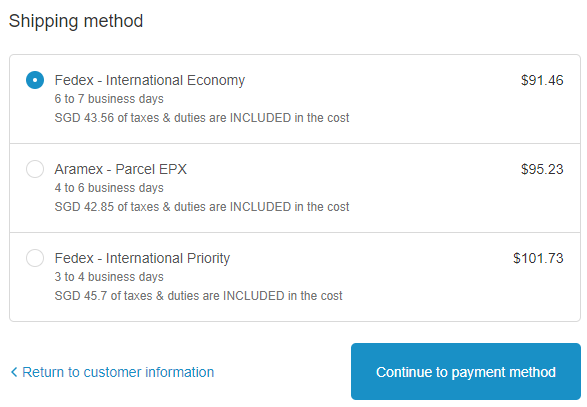 If your shipment is above the tax threshold, showing the above shipping rates could be very misleading, as your customers would not be aware of the additional taxes and duties they'd be responsible for. Your customer will see tax & duty information differently, depending on whether you've chosen to deliver your shipments post-paid (to be paid at the door) or pre-paid (Included in the shipping cost). 'You can find more information on countries particular taxes & duties thresholds here.